As a sufferer of a sort of classificatory mania, from adolescence I took great care in cataloguing the books in my library. By the fifth year of secondary school, I already possessed, for my age, a very reasonable number of books: almost six hundred volumes. As soon as a new book arrived, I stamped it, always in black ink, on its first page. I gave it its corresponding number, always in blue ink, and wrote its date of acquisition. Then, imitating the old National Library's catalogue, I entered its details on an index card which I filed in alphabetical order. My sources of literary information were the editorial catalogues and the Pequeño Larousse Ilustrado. An example at random: in many collections from the various editors was Atala, René and The Adventures of the Last Abencerage. Motivated by such ubiquity and because the Larousse seemed to give Chateaubriand such great importance, I acquired the book in the Colección Austral edition from Espasa-Calpe. In spite of these precautions, those three stories turned out to be as unreadable as they were unmemorable. In contrast to these failures, there were also complete successes. In the Robin Hood collection, I was captivated by David Copperfield and, in the Biblioteca Mundial Sopena, by Crime and Punishment. Along the even-numbered side of Santa Fe Avenue, a short distance from Emilio Ravignani Street, was the half-hidden Muñoz bookshop. It was dark, deep, humid and mouldy, with creaking wooden planks. Its owner was a Spanish man about sixty years old, very serious, and somewhat haggard. The only sales assistant was the person who used to serve me. He was young, bold and error-prone and had neither knowledge of the books he was asked about nor any idea of where they were located. His name was Horacio. When I entered the premises that afternoon, Horacio was rummaging around some shelves looking for heaven-knows-what title. I managed to learn that a tall, thin girl had enquired about it. She was, in the meantime, browsing the wide table where the second hand books were on display. The adverb now indicated a bad mood. 'I can't find Don Segundo Sombra, don Antonio. It is not on the Emecé shelves'. 'It is a Losada book, not Emecé; look on the shelves of the Contemporánea'. 'No, I am sorry; we have no Don Segundo left'. The girl expressed disappointment, said she needed it for school and asked where she could find it. Horacio, embarrassed in the face of such an insoluble problem, stared at her wide-eyed and raised his eyebrows. I felt as if I was blushing, as if I had been inconceivably audacious. At the same time, I felt annoyed with myself for having given in to an impulse that was contrary to how I really felt. I love my books and hate lending them. I don't know what exactly the girl answered, but after some squeamishness she ended up accepting my offer. 'I have to read it immediately for school', she explained, as if to justify herself. I learnt that she was in the third year in the women's college at Carranza Street. I suggested that she accompany me home and I would hand over the book. I gave her my full name, and she gave me hers. 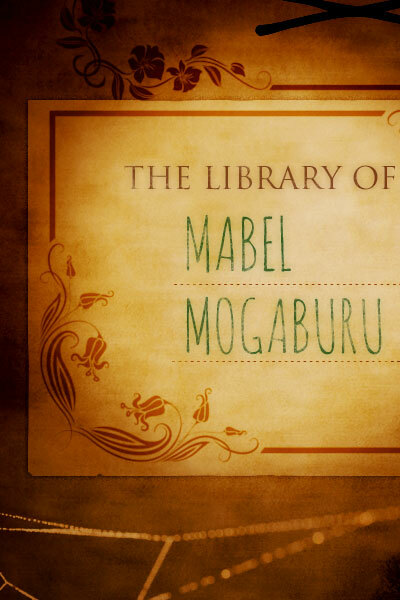 Her name was Mabel Mogaburu. Before starting our journey, I accomplished what had taken me to the Muñoz bookshop. I bought The Murders in the Rue Morgue. I already had the Tales of the Grotesque and Arabesque and, with much delight, decided to dive once again into the fiction of Edgar Allan Poe. While we walked along Carranza toward Costa Rica Street, Mabel spoke enthusiastically and honestly about her interest in or, rather, passion for literature. Because of that, there was a deep affinity between us though, of course, she mentioned authors that differed from as well as matched my own literary loves. Although I was two years older than her, it seemed to me that Mabel had read considerably more books than me. She was a brunette, taller and thinner than I had thought in the bookshop. She had a certain diffused elegance about her. The olive shade of her face seemed to hide some deeper paleness. The dark eyes were fixed straight on mine, and I found it hard to withstand the intensity of that steady stare. We arrived at my door in Costa Rica Street. And I did find the book instantly as, for the sake of consistency, I had (and still have) my books grouped by collection. Thus, Don Segundo Sombra (Biblioteca Contemporánea, Editorial Losada) was placed between Kafka's The Metamorphosis and Chesterton's The Innocence of Father Brown. Back in the street, I noticed, although I know nothing about clothes, that Mabel was dressed in a somewhat, shall we say, old-fashioned style, with a greyish blouse and black skirt. She took the book — such long and beautiful hands — with what I thought was a certain mocking respect. The volume, an impeccable orange colour, looked as if it had just left the press. She leafed through the pages for a while. 'But I see that you do write on your books', she said. 'Certainly, but I use a pencil, writing very carefully in very small handwriting; those are notes and useful observations to enrich my reading. Besides', I added, slightly irritated, 'the book belongs to me and I can do what I like with it'. I immediately regretted my rudeness, as I saw Mabel was mortified. And she handed it back to me. 'That's not necessary,' I said, out of politeness. She took out a ballpoint pen and a school notebook from her purse and wrote something on the last page, then she tore it out and I accepted it. To be sure, I gave her my telephone number, too. She shook my hand (no kisses at that time as is the way now) and she walked toward the Bonpland corner. I felt some discomfort. Had I made a mistake, lending my precious book to a complete stranger? Could the information she had given me be made-up? The page from the notebook was squared; the ink, green. I searched the phonebook for the name Mogaburu. I sighed with relief: a MOGABURU, HONORIO was listed next to the address written by Mabel. I placed a card between The Metamorphosis and The Innocence of Father Brown with the legend DON SEGUNDO SOMBRA, MISSING, LENT TO MABEL MOGABURU ON TUESDAY 7TH OF JUNE 1960. SHE PROMISED TO RETURN IT, AT THE LATEST, ON WEDNESDAY 22ND OF JUNE. Under it, I added her address and phone number. Then, on the page of my agenda for the 22nd of June, I wrote: MABEL. ATTN! DON SEGUNDO. That week and the next went by. I continued with my usual, mostly unappreciated, activities as a student in my last year of secondary school. It was the afternoon of Thursday the 23rd. As often happens, even to this day, I had written a note in my agenda that I later forgot to read. Mabel had not called me to return the book or to ask me to extend the loan. I dialled Honorio Mogaburu's number. At the other end, the bell rang ten times but nobody answered. I hung up but called again many times, at different times, with the same fruitless result. This pattern was repeated on Friday afternoon. Saturday morning, I went to Mabel's home, on Arévalo Street, between Guatemala and Paraguay. Before ringing the bell, I watched the house from across the street. A typical Palermo Viejo construction, the door in the middle of the facade and a window on each side. I could see some light through one of them. Was Mabel in that room, engrossed in her reading…? A tall, dark man opened the door. I imagined he must be Mabel's grandfather. 'What can I do for you…? 'Yes, but she is not here right now. I am her father. What do you want her for? Is it something urgent? Beyond the hallway, there was a small living room that appeared poor and old-fashioned to me. 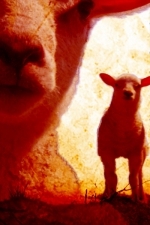 A certain unpleasant smell of stale tomato sauce mixed with insecticide floated in the air. On a small side table, I could see the newspaper La Prensa, and there was a copy of Mecánica Popular. The man moved extremely slowly. He had a strong resemblance to Mabel, the same olive skin and hard stare. 'Let's go to Mabel's room and see if we can find it'. I felt a little ashamed for troubling this elderly man that seemed so down-on-his-luck and who lived in such sad house. He was right, so I chose not to say anything. Mabel's bed was covered with an embroidered quilt with a faded shine. He took me to a tiny bookcase with only three shelves. 'These are Mabel's books. See if you can find the one you want'. I don't think there can have been one hundred books there. There were many from Editorial Tor among which I recognized, because I too had that edition from 1944, The Phantom of the Opera with its dreadful cover picture. And I spotted other common titles, always in rather old editions. But Don Segundo wasn't there. He put on his glasses and shook a key ring. The car was a huge black DeSoto that I imagined was a '46 or '47 model. Inside, it smelled of stale air and mouldy tobacco. Mogaburu went around the corner and entered Dorrego. We soon reached Lacroze, Corrientes, Guzmán and we turned onto the inner roads of the Chacarita cemetery. We got out of the car and started walking along the cobbled paths. My blessed or cursed literary curiosity compelled me to follow him without question through an area filled with crypts. At one of them with the name MOGABURU on its facade, he pulled out a key and opened the black iron door. Although I didn't want to, I obeyed him, at the same time resenting his allusion to my supposed fear. I entered the crypt and descended a small metal ladder. I saw two coffins. He tapped the top several times with his knuckles. He leaned slightly over the coffin and smiled, as if recalling a fond memory. It was true - one wall of the crypt was covered almost floor to ceiling, I assume because of lack of space, by hundreds of books, most of them in a horizontal position and in double rows. 'She was very methodical, filling the shelves from top to bottom and left to right. Therefore, your book, being a recent loan, must be on the half full shelve on the right'. A strange force lead me to that shelf, and there it was, my Don Segundo. This short story was published in: Fernando SORRENTINO, How to Defend Yourself against Scorpions, Liverpool, Red Rattle Books, 2013, 216 pp. "La biblioteca de Mabel". In Fernando SORRENTINO, Paraguas, supersticiones y cocodrilos (Verídicas historias improbables), Veracruz (Mexico), Instituto Literario de Veracruz, 2013, 140 pp. Revealing the sinister hidden agenda behind the apparently pointless behaviour of a particular type of tiny green insect.